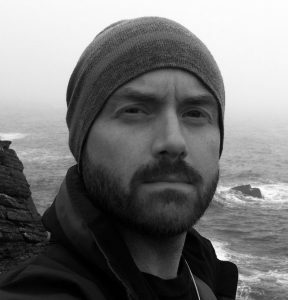 Artist and activist James Brady will be delivering the Commonweal Lecture for 2018 – Commonweal’s 60th anniversary. His topic will be la ZAD, a bold experiment in common living in rural France. We asked him to tell us about la ZAD and why it deserves us our attention right now. La ZAD isn’t as well-known as it could be among UK activists. Please tell us what it stands for (the name and also the place!). ZAD means ‘Zone to Defend’ (Zone à Défendre in French). The place is a utopian experiment of collective common living on 4,000 acres of rural landscape in Western France (near the city of Nantes). The territory was first liberated from the French State’s plans (in 1968) to build a new airport for the nearby city of Nantes (which already has a perfectly functioning airport). This was achieved through an occupation by farmers who opposed the plans. 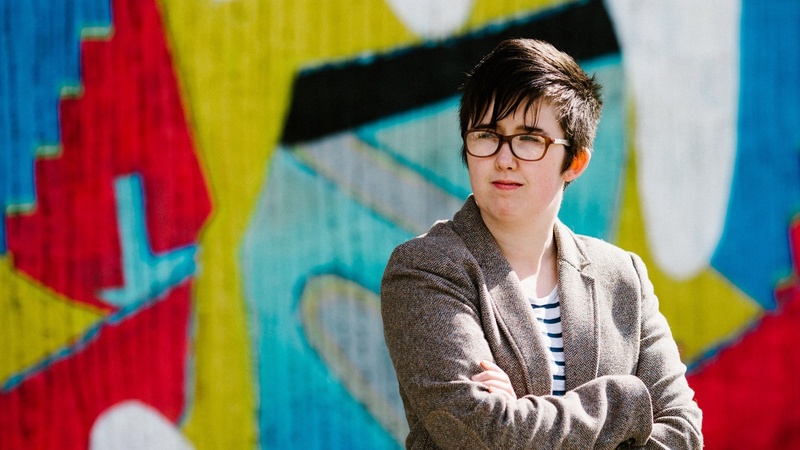 In recent years, the zone has been opened up to welcome anyone willing to stand in solidarity. It’s a place of great social diversity, which is the key to its success so far. 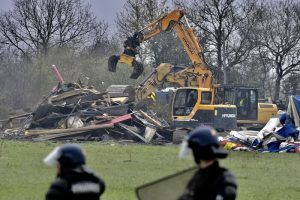 In January 2018, after 50 years of false starts, legal battles with the farming landowners and (in the past decade) numerous eviction attempts, the French Government, led by President Emmanuel Macron, announced that it had finally abandoned the airport project for good. But in the wake of such a victory the peoples of la ZAD knew only too well that this was certainly not the end of the struggle. The next unpleasant chapter of the story unfolded with uncompromising brutality on 9th April 2018. 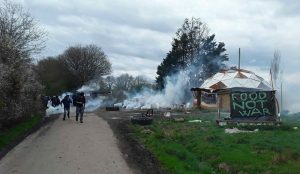 With an army of 2,500 police in armoured vehicles, wielding tear gas and stun grenades, the State unleashed an attack on the ZAD people. The fierce siege of evictions lasted eight days (at an obscene daily cost of over €400,000 of taxpayers’ money), and it was the biggest mobilisation of French police since the riots of May 1968. 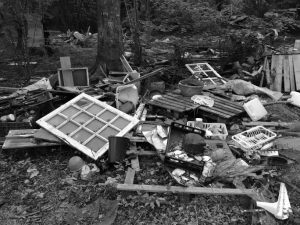 The French State is intent on evicting anyone living at la ZAD ‘without rights or deeds’. It’s a work in progress, yet the Zadists are standing defiant. 2) How did you come to hear about it? 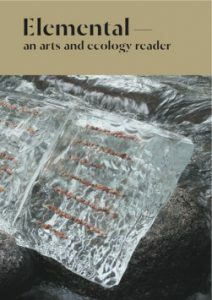 Mainly from an admiration of and subsequently conversations with the art–activism collective Liberate Tate and the art–research–activism organisation Platform. 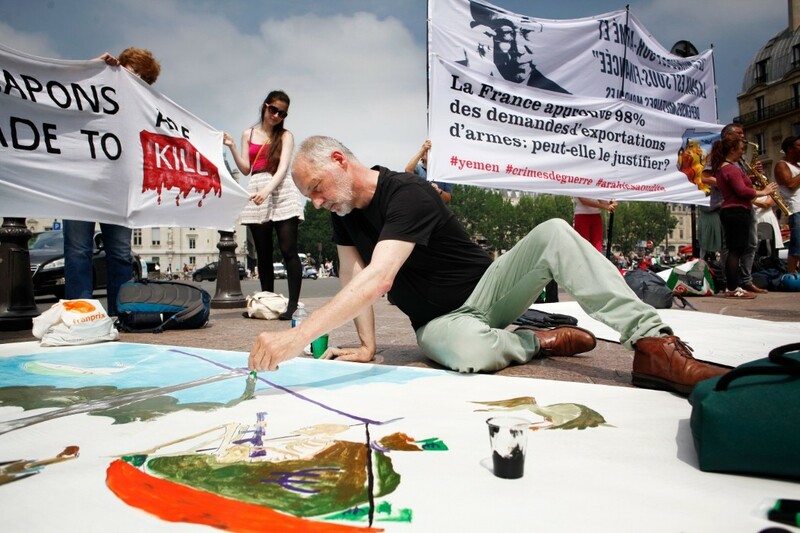 My friend and self-professed ‘beautiful troublemaker’ John Jordan (JJ), who has made his home at la ZAD, was influential in the inception of Liberate Tate (in 2010), and the well-known Climate Camps (2006–2011). He was also a key member of Platform in the 1990s, not to mention his instrumental creative role in the Reclaim The Streets movement during the same decade. He is, most notably, one of the creative energies behind the anarchist street theatre collective the Laboratory of Insurrectionary Imagination (more easily referred to as the Labofii), co-founded with his partner and comrade in revolution, Isabelle Frémeaux. 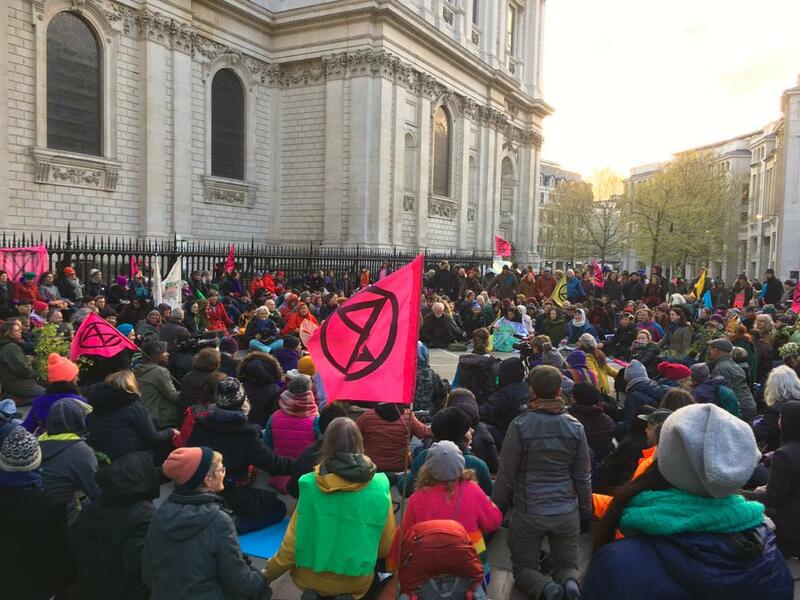 Making large-scale civil disobedience an artful, joyful and beautiful experience and putting this at the heart of direct action is what the Labofii has done so potently for many years. 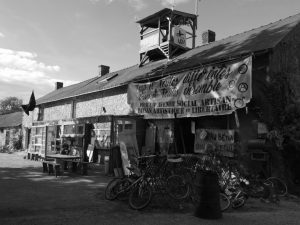 Although the Labofii is nomadic, with its mass-organising of street carnivals, clowning and bike blocs, its HQ is (for now anyway) at la ZAD. 3) Tell us about your time there. I visited la ZAD in the relentlessly hot, dry summer of this year (2018). The farmhouse of La Rolandière was my home for a week. 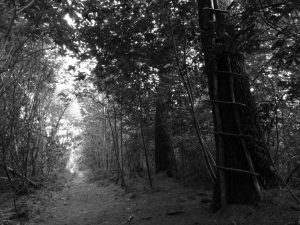 It’s situated on the edge of the majestic Fôret de Rohanne (Forest of Rohanne), right in the centre of la ZAD, alongside one of the main intersecting roads. La Rolandière is home to a collective of activist-artists and farmers. It houses the beautiful ZAD Welcome Centre and Library, and one of its most striking features is that it has a lighthouse (phare in French)! The Lighthouse is about 100 ft high and serves not just as a majestic landmark, but also, crucially, as a strategic look-out post during police invasions. That week I ate delicious vegetarian and vegan food, which was prepared and cooked in La Rolandière’s rustic, communal kitchen. The vegetables were either grown within the organic permacultural gardens at la ZAD itself, or donated by the local markets. My friend JJ was my guide, and he was extremely generous with his time as we walked for miles across the landscape. However, the zone is so huge I probably only saw a small part of it – maybe a quarter of its total territory. La ZAD is a bocage – an ecologically sensitive, biodiverse patchwork of marshes, forests, fields and hedgerows. Together we explored the broken remains of many lovingly made homes crushed by the police during the evictions. 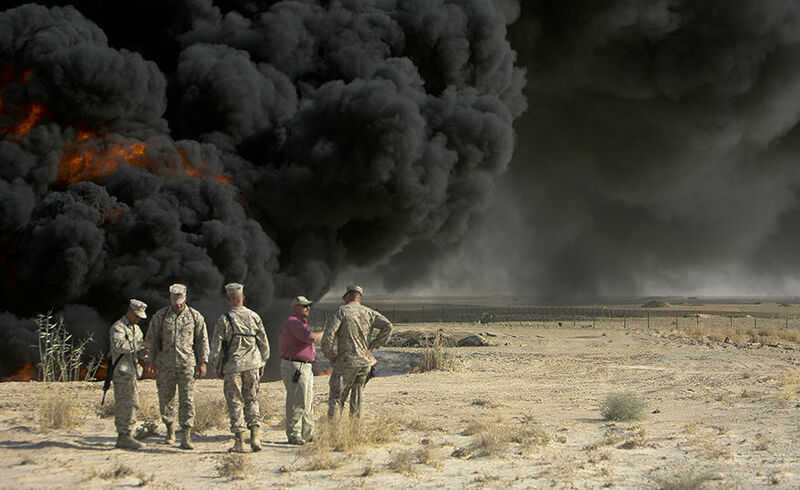 In some places the roads and tracks were covered in defiant graffiti, slogans against the State’s brutality spray-painted alongside the charred remains of burned-out cars abandoned by the roadside (which a few weeks previously had been flaming blockades). 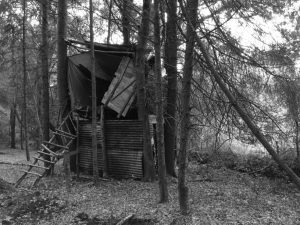 La ZAD is made up of micro-communities all scattered across the landscape. So, walking from place to place I encountered various aspects of the activities of daily life, such as the organic bakery, the brewery, the fromagerie, the concert hall, the shoemaker, the medicinal herbs field, and the pirate Klaxon Radio bus. Apart from a few pockets of busy activity, the general ambience of la ZAD was rather relaxed and sleepy. It was a world away from the violence, mud and tear gas that saturated the land and people during the evictions in the spring. 4) What’s changed at la ZAD since you were there? What’s next for la ZAD? A founding principle of la ZAD is ‘diversity’. 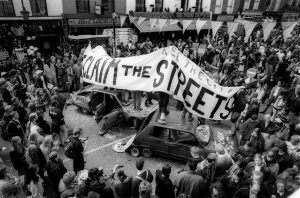 So, whilst there has been a mix of approaches to egalitarian ways of life on the zone, the peoples always had a common cause to unite them – their opposition to the airport plans. 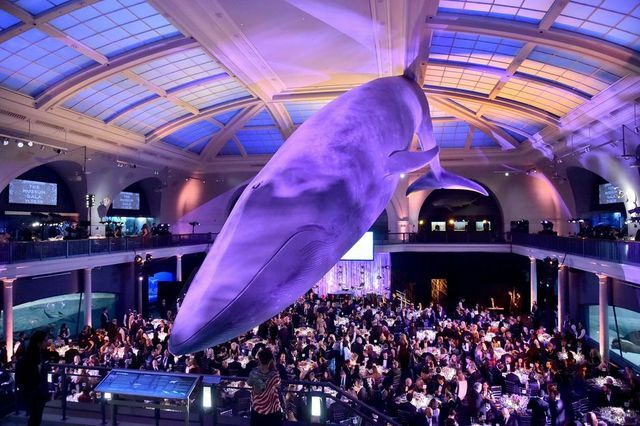 Not only that, but the 40,000 non-inhabitant visitors who also pledged their allegiance and solidarity to this cause (in October 2016) made the movement all the stronger. However, since the French State abandoned the airport proposal, the collective will of the zone’s communities has been weakened. What’s to fight for now? Can they rely on those 40,000 people for support any longer? 5) Has your involvement with the place changed you? Yes, it certainly has changed me. I feel more hopeful. It’s made me understand that there are real ‘life alternatives’ open to everyone, within reach. With a common cause, we can find ways of sharing hopes, skills, stories and desires and actually live these, embodying them in our lifestyles – being the change and living the change we want to exist in the world. But as we all know, that Way is not an easy Way. Most importantly, it’s reinforced my ambition that I too can contribute meaningfully to the movement. In fact, we all can! 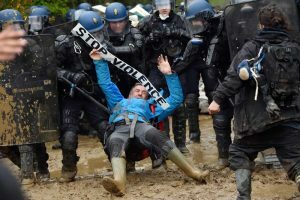 6) How does your focus on la ZAD connect with your other activities? I’m an artist and publisher with the heart of an activist. More and more, my creative activities are becoming political. 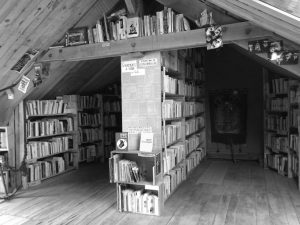 My activist-artist friends who live at la ZAD have written and produced numerous books over the years. Some of these publications are, arguably, obscure, whereas others have been bestsellers and the subject of much critical acclaim around the world. 7) Is there anything UK activists can do to support la ZAD or other initiatives like it? 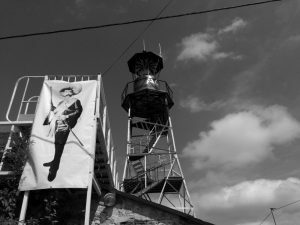 There is a global ZAD solidarity movement happening. La ZAD has become more than a place – it has blossomed into a powerful, artful symbol of hope and resistance in a world dominated by capitalist greed and inequality. ZAD has resonated with people around the world and it’s a common cause for which to unite. It is carried in their hearts. 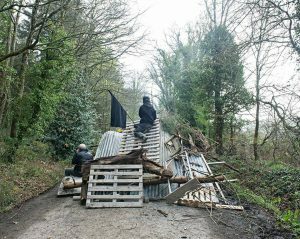 As the saying goes – ZAD Partout! ZAD Everywhere! Social media is always an effective way of supporting la ZAD, including on Twitter and also on Facebook. Use the hashtags #ZAD, #ZADpartout and #NDDL. You can also organise your own solidarity demonstration, as I did with some friends and comrades in Manchester back in May during the evictions. 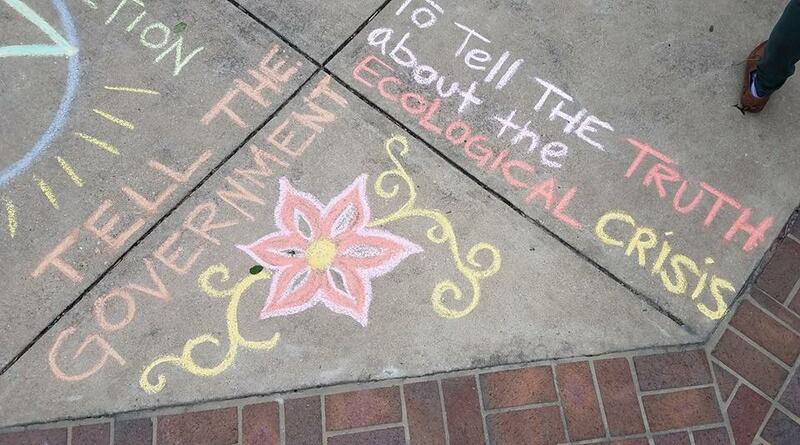 It’s a great way of speaking with people on the street about la ZAD and raising awareness of this amazing movement. Lastly, I would certainly recommend a visit to la ZAD to anyone. It’s a convivial, inspiring and fascinating place. 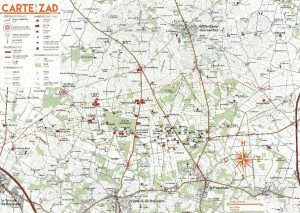 La ZAD will welcome you! 8) Can you recommend any related reading for people who want to learn more? Commonweal’s 2018 lecture is on 23rd October at the Theatre In The Mill on the University of Bradford campus. Full details, including a link to book your free ticket, are here.